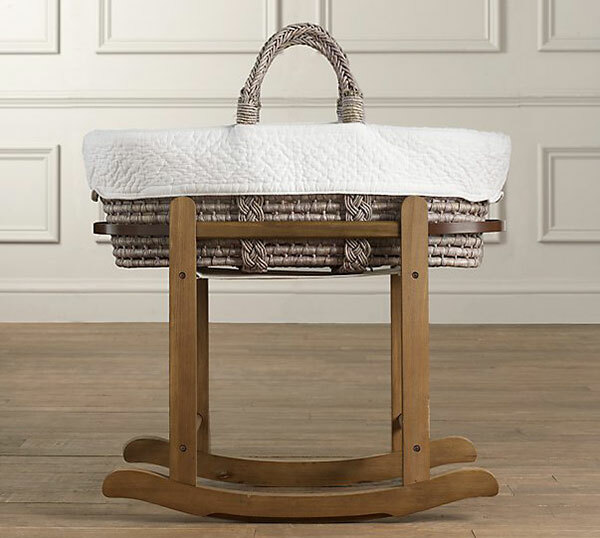 Much cooing ensued when we eyed off the classically beautiful bassinets and Moses baskets from RH Baby & Child, after all, a beautiful new baby and a gorgeous bassinet always make a heavenly match! 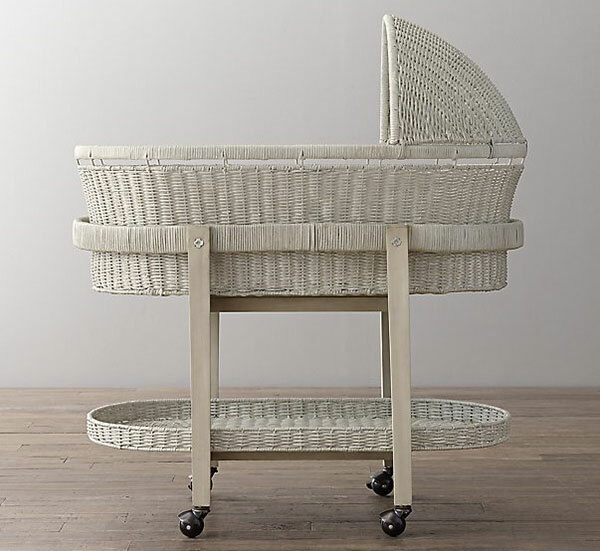 The Heirloom Wicker Bassinet (priced from US$329, mattress included) is truly a bed which can be handed down for generations. Crafted with a metal frame, the bassinet is woven with natural wicker and given an espresso, weathered grey or whitewashed finish. The wheeled stand is a lifesaver, enabling you to easily wheel it where you please to have baby close to you. The storage shelf is fantastic for keeping extra bedding and comforters handy and within reach. 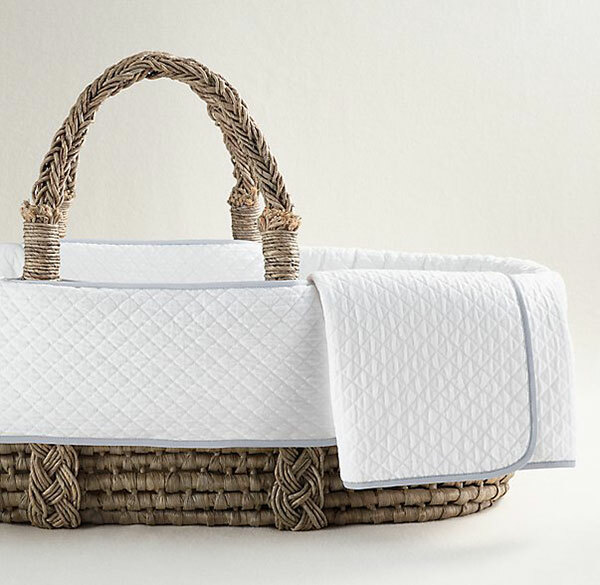 Moses baskets (priced from US$159, bedding included) will forever be popular, given their portability and light and airy design, perfect for both indoors and out. RH Baby & Co offer a gorgeous Moses basket stand (US$89) with curved base, the perfect partner to the basket for gently rocking a snoozing babe to sleep. Unfortunately RH Baby & Child don’t yet ship to Australia, so a reshipper will be required if you wish to make a purchase.